AYE CHAN MYITTAR Co., Ltd.
Room 501, Building A2, Shwe Kabar Housing, Min Dahma Road, 3rd Qr., Mayangone Tsp., Yangon, Myanmar. No. 132, Gandamar Street, Thapyaygone Qr., Zabutheri Tsp., Nay Pyi Daw. No. 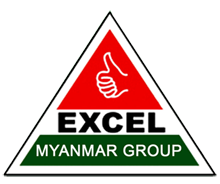 50, 79 Street (East), Between 36x37 Street, Myetpar Qr., Mahar Aung Myae Tsp., Mandalay.